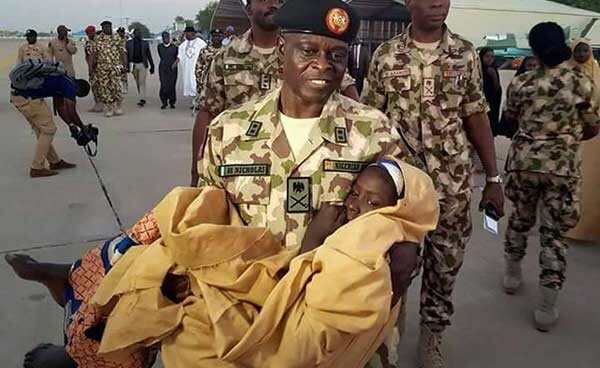 After Boko Haram returned over 90 of the girls abducted from Government Girls Science and Technical Secondary School, Dapchi, they were handed over to federal authorities by the military. But their days have been that of movement from one location to another without rest. 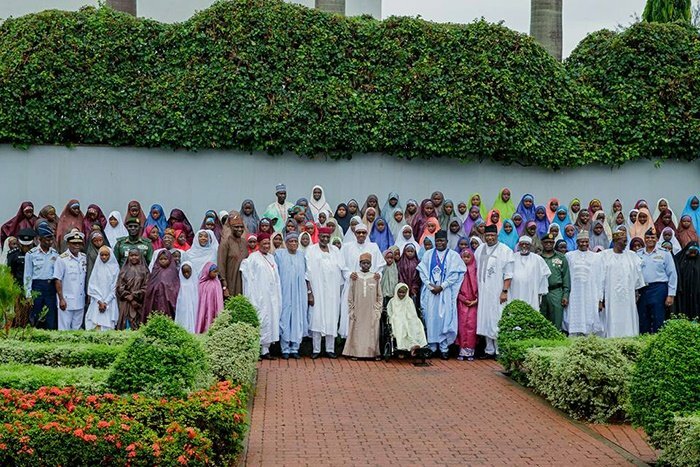 They had first travelled from Dapchi to Damaturu, the capital of Yobe State to meet with state authorities and after that meeting, they were flown to Abuja to meet with President Buhari. The meeting was supposed to hold on Thursday but for the President's visit to Zamfara, it was shifted to Friday. It was in the course of waiting on Thursday that one of the girls who was ill collapsed and was rushed to hospital. She had lost energy and fainted, as a result of an accident the Vice Principal of the Dapchi school, Comrade Aliyu Musa Madu, said she had while they were celebrating their return on Wednesday. Two other girls involved are receiving treatment at another hospital. 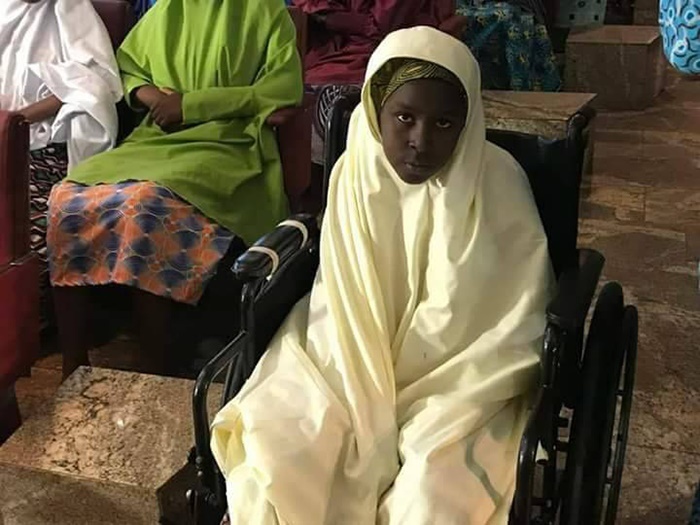 After she received first aid, doctors recommended that she should use a wheelchair till after the meeting with President Buhari. 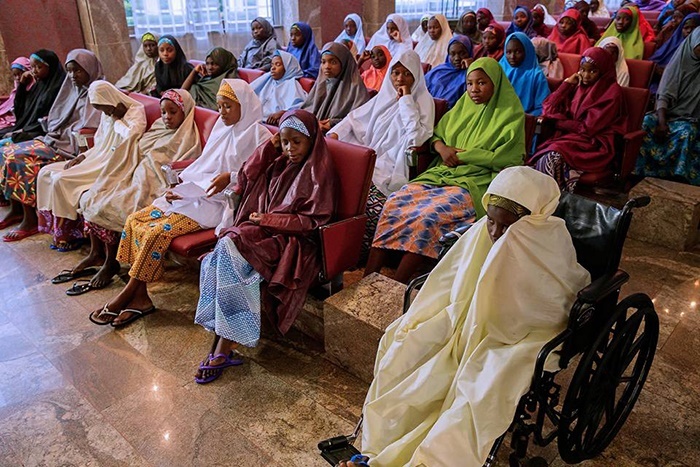 On Friday, however, President Buhari met with the girls.